This listing is reserved for Dina. To be delivered locally. 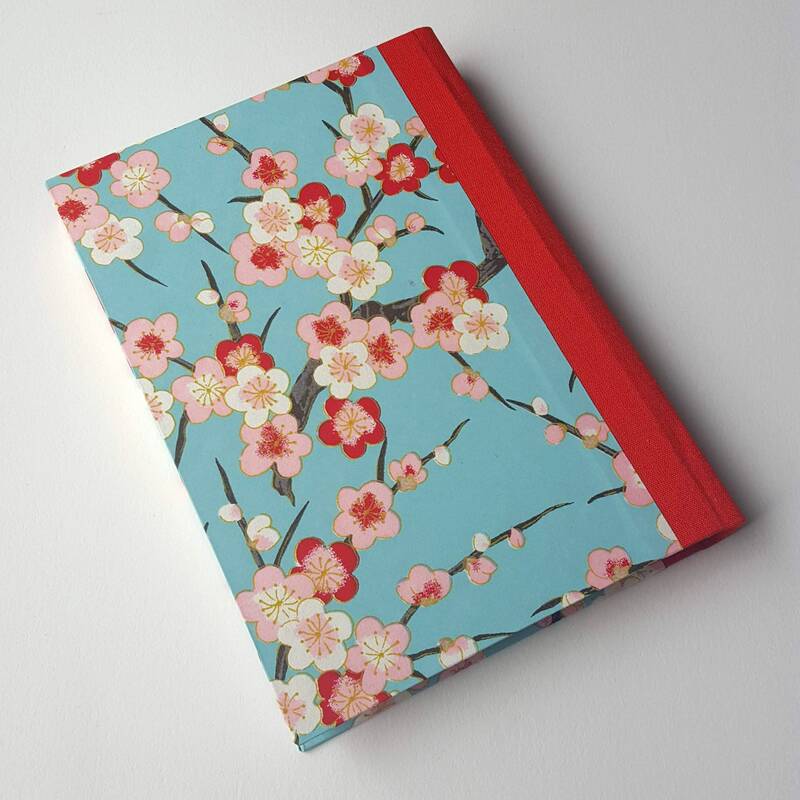 Treat yourself to a beautiful journal or give to a friend as a special gift. 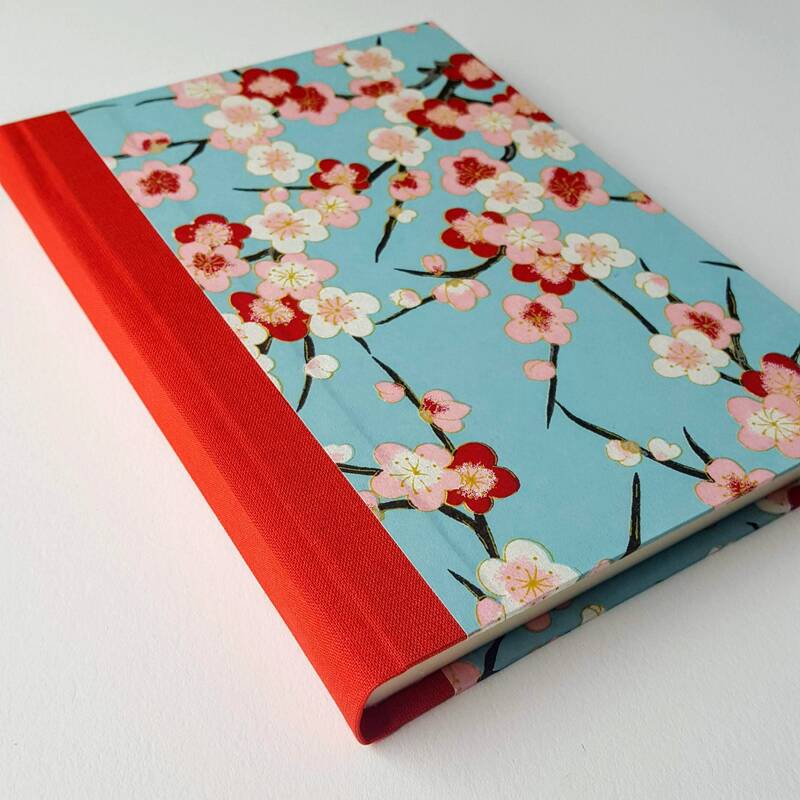 This soft and supple journal would make a lovely gift for an expectant mom to record her pregnancy and postpartum thoughts and dreams. 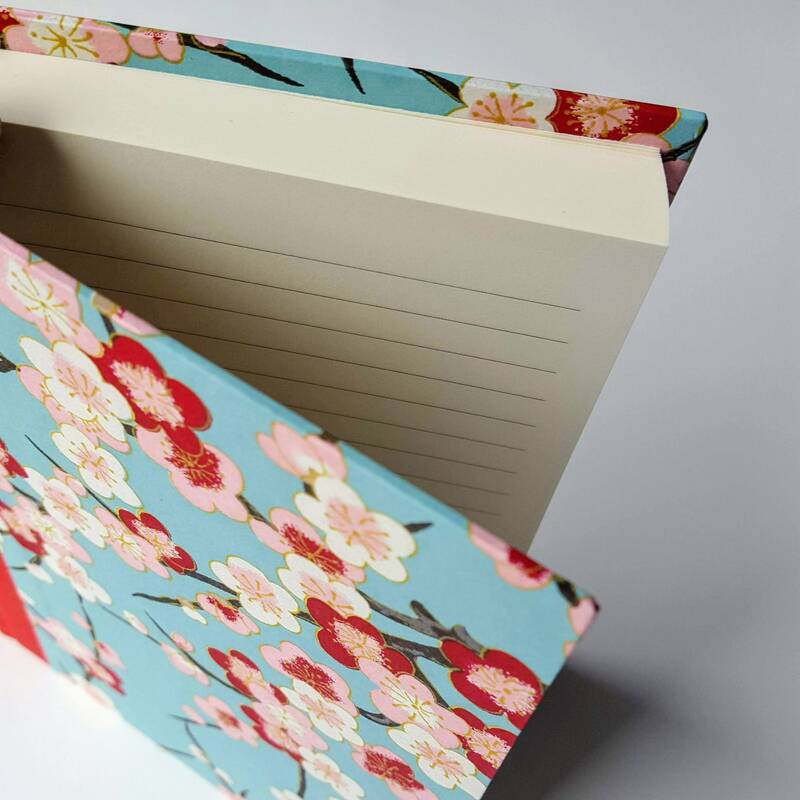 With 224 lined pages, this little journal is perfect for daily writing and fits easily into a purse or bag for capturing thoughts on the go. 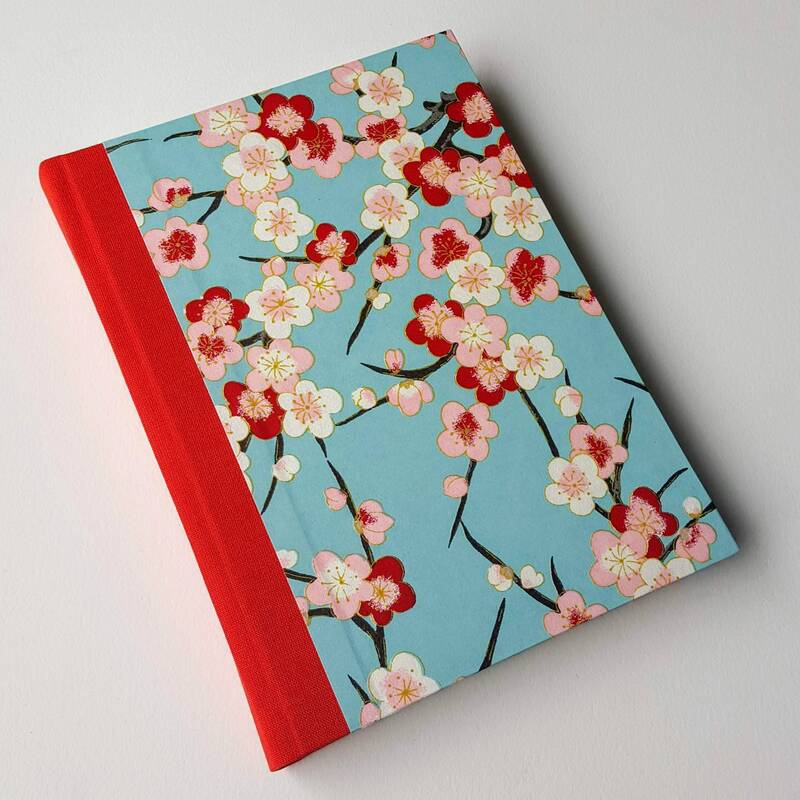 The cover is made with Japanese paper that is not only beautiful, but super soft to the touch. Red spine cloth compliments the flowers in the cover paper wonderfully. The pages are ivory with gray ruled lines and are acid free. Journal is approximately 5 by 7 inches and 1 inch thick.